Apologizing is never easy no matter what the situation is. Whether in your personal life or your professional life, apologizing can be an awkward and uncomfortable experience. Regardless, apologizing is incredibly important. Not choosing to apologize for a mistake or an action is simply not an option. The lack of an apology can build resentment and fail to help you learn from your mistake. Professional apologies add another layer of difficulty. Unlike friends or family, people in your professional circle may not have the same desire to offer forgiveness. That’s why apologizing effectively in the professional world can take additional effort and strategy to ensure it’s done correctly. Get ready – you’re about to learn how to say sorry in the professional world. The first step to forming a proper apology is to acknowledge and recognize that a mistake was made. Jumping into saying sorry before addressing the reason you are saying sorry can feel blunt, abrupt, and impersonal. If you are having trouble with acknowledging your mistake, you may want to begin by explaining what happened. This may seem redundant at first. After all, the person or group you are apologizing to already knows what has happened. Explaining the mistake is the easiest, most simple way to show that you recognize a mistake was made. Put yourself in the shoes of the people you are apologizing to. Use empathy to recognize how they may have felt and how your mistake may have affected them. By acknowledging the mistake you are more able to offer a sincere apology which is important when learning how to say sorry. Not every apology is black and white. It can be hard to apologize knowing that there were other factors out of your control that may have played a role in the mistake occurring in the first place. It may be tempting to try to explain this while apologizing in order to give the other party a better understanding of what occurred. However, this can appear as though you are shifting blame away from yourself. While shifting blame may not be your intention, it can have a dramatic effect on the power of your apology and make the apology seem insincere. 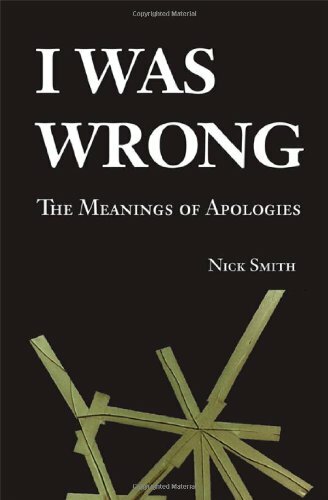 Placing blame on others during your apology is a very quick way to ruin an otherwise strong, sincere, and effective apology. You have probably met someone in your personal or professional life who has always had to apologize for the same thing over and over again. How do apologies feel when you receive one from someone who is always apologizing? Apologizing is useless if there is no solution to prevent the original mistake from occurring again. 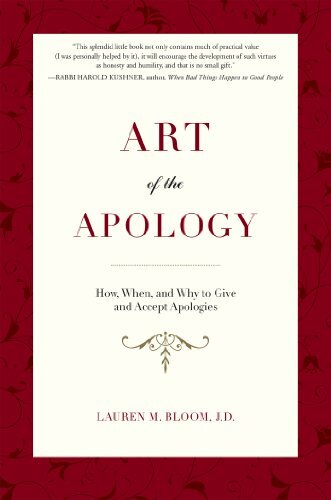 Be ready to provide methods that you plan on improving for the future to ensure that another apology is not needed. When you are providing solutions, you want to have a concrete idea in mind with specific goals or actions that you can take. If you need to, take time to think about solutions before beginning your apology. Wishy-washy solutions created on the fly won’t seem genuine and you may not be able to stick to those solutions which could make it appear as though you didn’t take your apology seriously. If possible, try not to drag others into your solution unless absolutely necessary. This can get dangerously close to the “placing blame” territory that we discussed avoiding in the section above. If other people are required for a solution then perhaps you will want to provide solutions that you can take charge of like planning a weekly meeting to address inefficiencies or problems without mentioning others by name. When you apologize to a spouse or loved one then you may earn their forgiveness right away with a sincere apology. Unfortunately, things can be very different in the corporate world. Forgiveness can be hard to come by. One of the hardest parts of learning how to say sorry is being able to walk away without being forgiven. 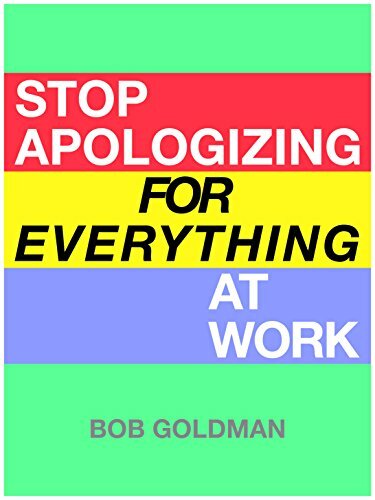 In the corporate world people may want to see action and improvement before they are willing to completely accept an apology. The important thing to do at the conclusion of an apology is not to press for forgiveness. It may seem natural to want to wrap up the situation with a nice bow but that is not always possible. If the other party has something to say, listen to them and acknowledge their thoughts. Listening at this stage is important. You can gain valuable insight into concerns that may not have been addressed by your apology and then work to find solutions to those concerns. Sooner or later you will have to apologize in a corporate setting and it is never an easy task. Learning how to say sorry does not always come natural. Remember the above tips and keep in mind that everyone makes mistakes. How you apologize for your mistakes is what will set you apart from the people who simply didn’t care about their actions and the people around them.